Since there is a large group of our readers that are between the ages of 24 to 35, we thought we would share our thoughts on the Saturn Return. As some of you are aware, the natal or birth chart is a snapshot of the heavens at the moment of birth. From that moment on, the planets continue on their rotational path. The planets when continuing on their path are referred to as transiting planets. All of the planets eventually return to the exact placement that they were at when we were born, but the outer planets (Uranus, Neptune and Pluto) take a long time to complete their cycle. Saturn takes between 27 to 29 years to complete its cycle. Uranus takes 84 years and the other two take much longer and we do not live long enough to experience their returns. Saturn (which will be discussed at a later date in greater detail) has a profound impact in our lives. It produces situations that can be stressful (if we so allow) and presents us with lessons whenever it becomes activated in our charts. Saturn is the teacher and it presents us with a crossroad (yes there is always a choice). We are forces to take a good look at our lives and make any needed changes. 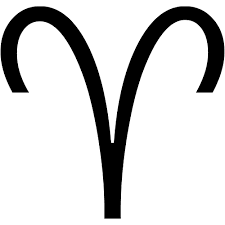 These times can be very trying if we fight the process and can last a significant period of time, especially if there are other planetary forces at work during the same period as the Saturn return. We have touched a little on houses throughout many of our posts and depending on which house Saturn is located within in your birth chart and what aspects it is making to other planets, these particular areas of life (houses) will become activated. The intensity and duration depends largely on the other planets that are stimulating the area and how long they transit and what aspects (aspects are angles between planets) they make to each other. If you are going through a stressful period and you are between the ages of 27 and 29, you undoubtedly are experiencing your Saturn’s return. At Holm Astrology, we go deep into your Astrology Chart to look at how Saturn’s return will, is or did affect you. We can assist with an understanding of the lesson contained in the Saturn return by locating Saturn’s position in your chart, its natal aspects, its transiting aspects as well as its progressed aspects. Armed with this information, you can better understand what needs to be done or understood. When Saturn has completed its cycle, you can be certain that a new person will emerged with a greater understanding of self and experiences behind you that should have been well learned. 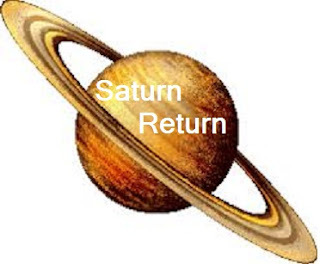 It should be noted that Saturn will make a second return in our later 50’s and again in our late 80’s but nothing seems to compare to that initial return in the late 20’s. If you are commenting on or have questions concerning a specific post, (even though you are making your comment on the post) please include the title of the post in your comment. We receive a notification of your comment but do not receive a link to the specific post. We cannot respond without your quoting the post name. Thank you.